Return of the Monkey Fingers! 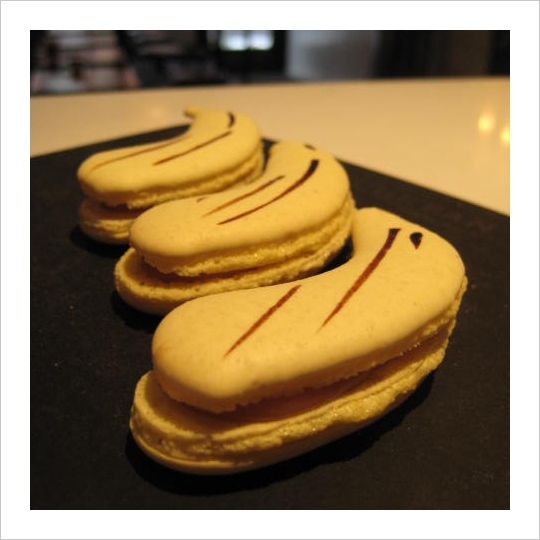 Back by popular demand (actually it was gentle pestering… you guys know who you are) are the monkey finger macaroons! They’re filled with banana caramel and lightly scented with coffee. Available exclusively at the store.